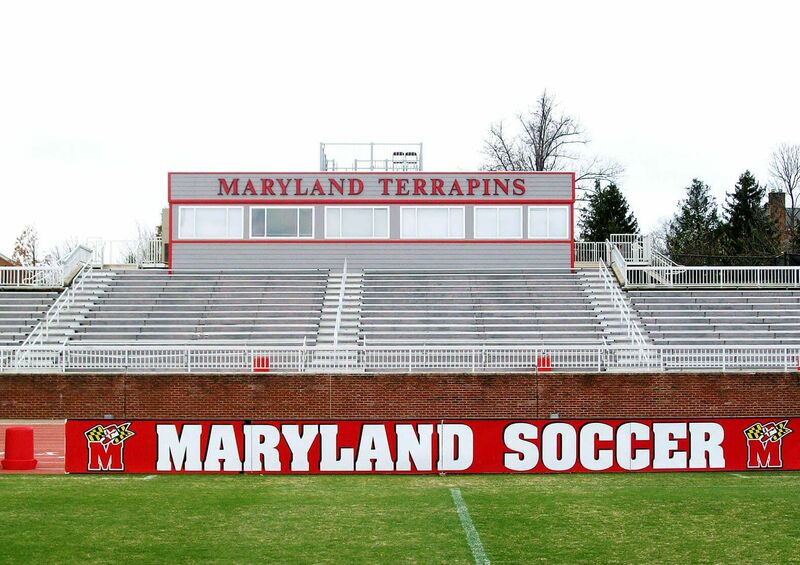 University of Maryland’s (UMD) new Ludwig Field Stadium Pressbox was designed as a permanent building. 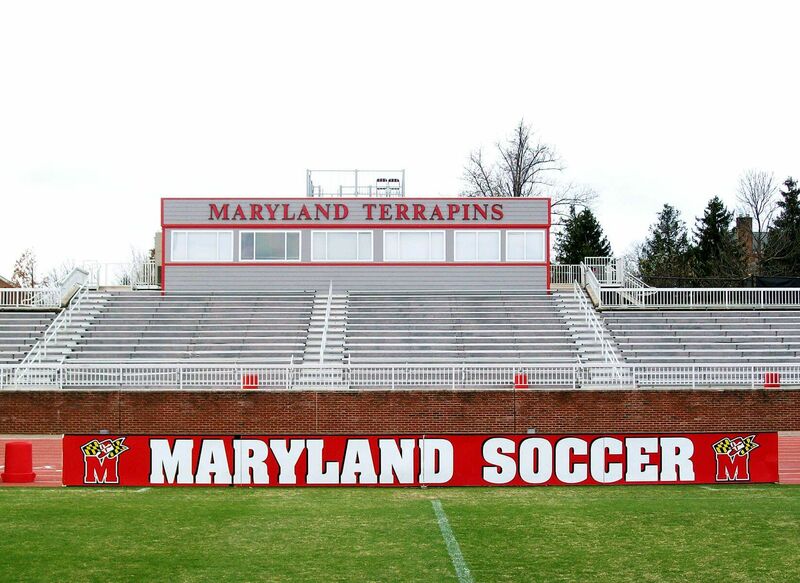 The design includes four separate rooms to house the announcers & sports team staff, TV & Radio Media Personnel, and VIP’s. 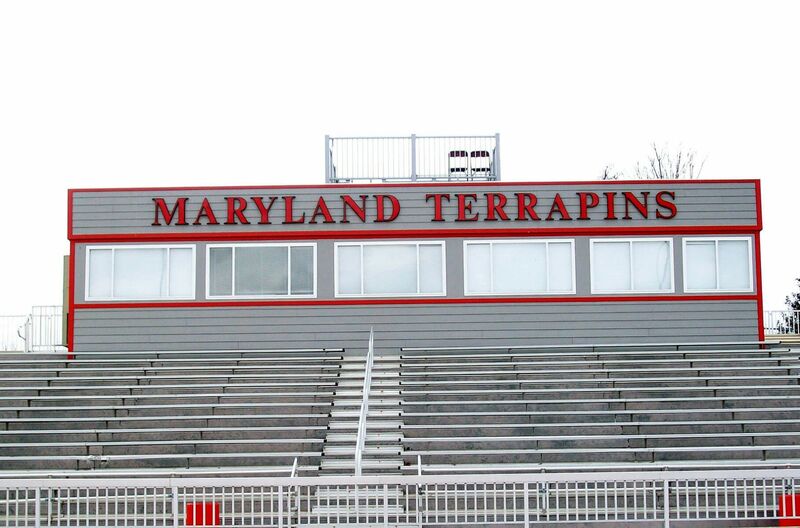 Due to UMD’s Architectural Covenants, the exterior had to meet very specific specifications and “blend in” with the campus. 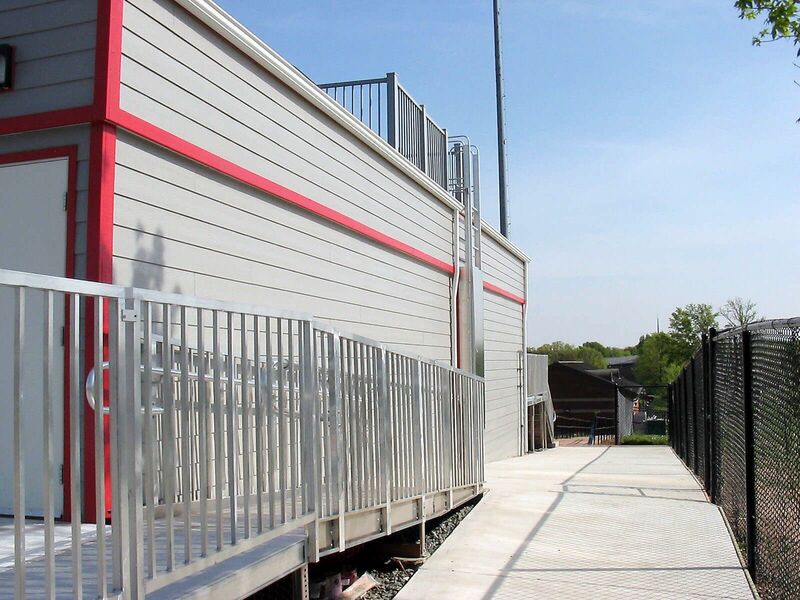 This was accomplished with the use of horizontal lap hardi-pan­el stucco siding and powder-coated steel rooftop railings. 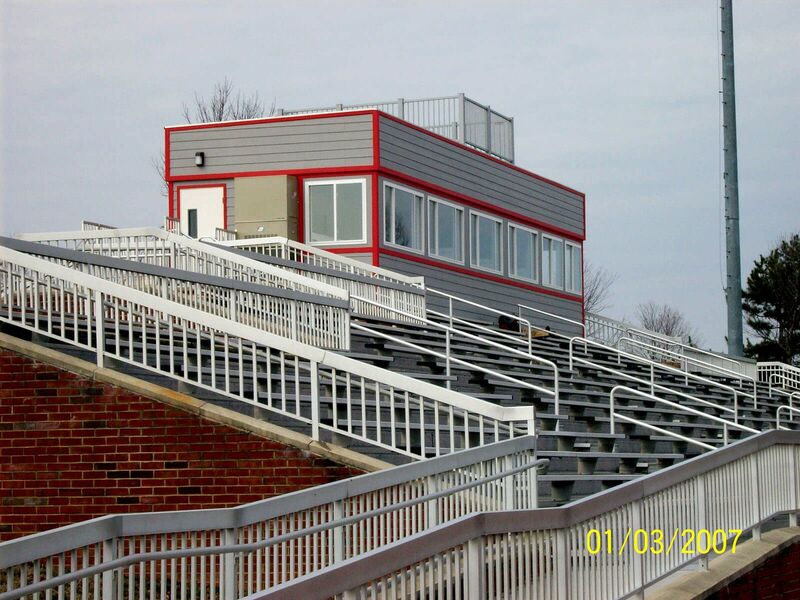 Additionally, the pressbox building had to be placed on the top of the existing stadium decking and seats, with a final product looking “seamless” to the existing structures. 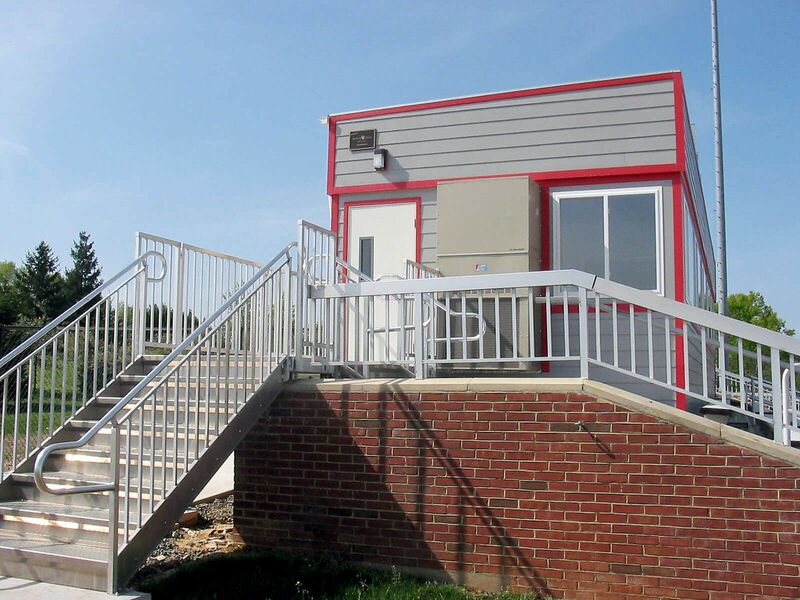 All the building and installation materials were carefully chosen to blend-in with the existing aluminum steps, steel rails, and brick facade and brick walkways. 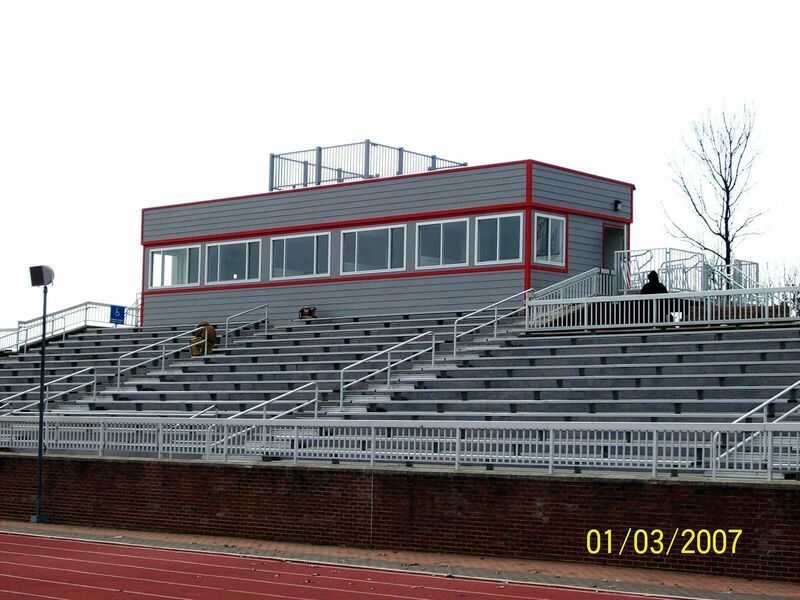 A cantilever foundation system was engineered and installed in order to accommodate the pressbox being placed on the top of the existing stadium decking and seats. 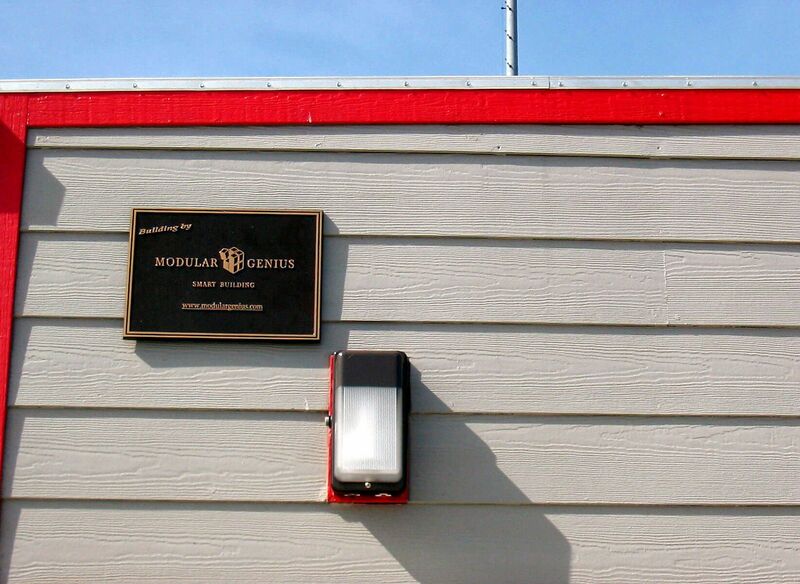 This foundation allowed it to sit on top of the existing structure with mini­mal disturbance and gave the best field of vision. 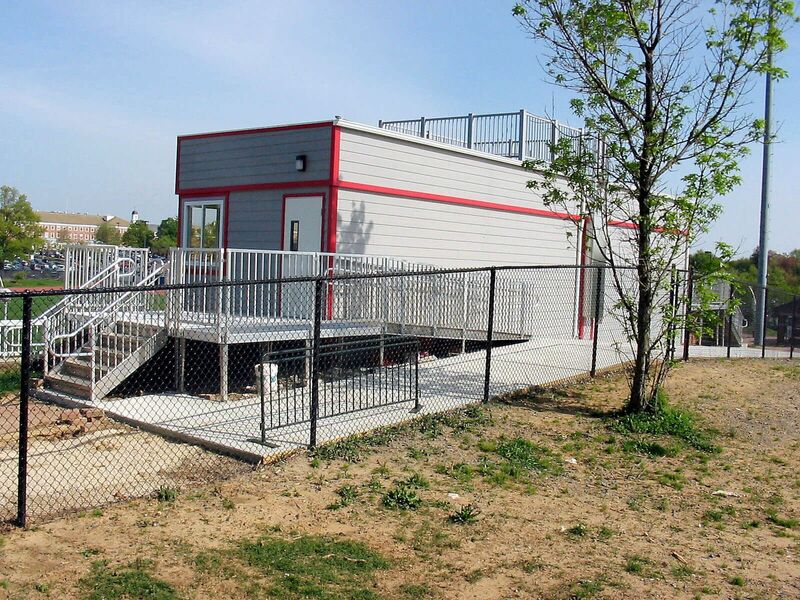 Aluminum steps, decks and railings were designed, built and attached to the building, existing bleachers and decks such that they gave a seamless finish between the new building and existing structure. 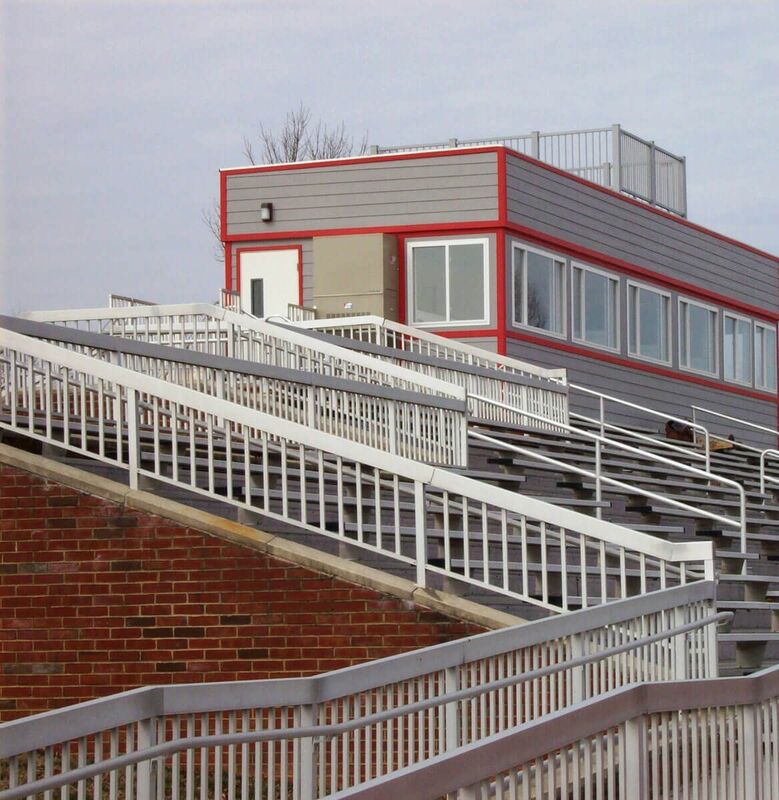 The rooftop design was unique, such that it was engineered to meet a 150 p.s.f. 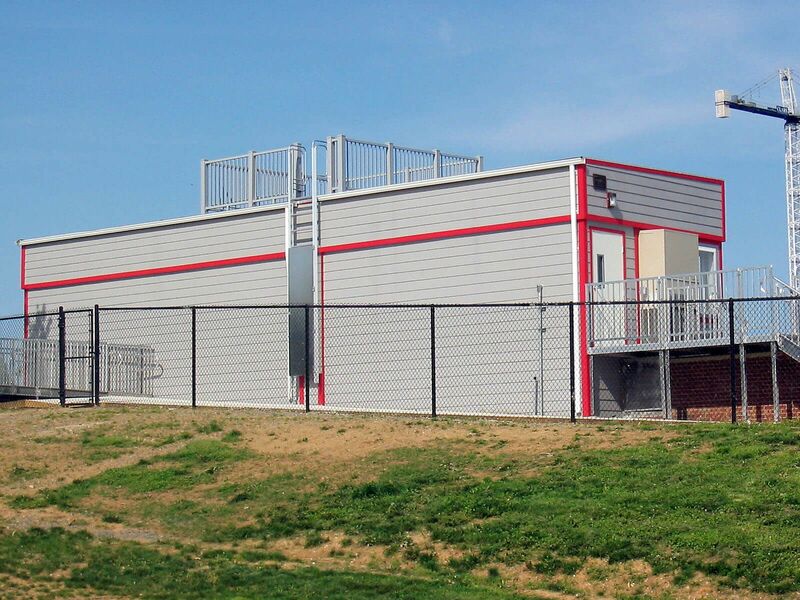 live load and hold several people at one time. 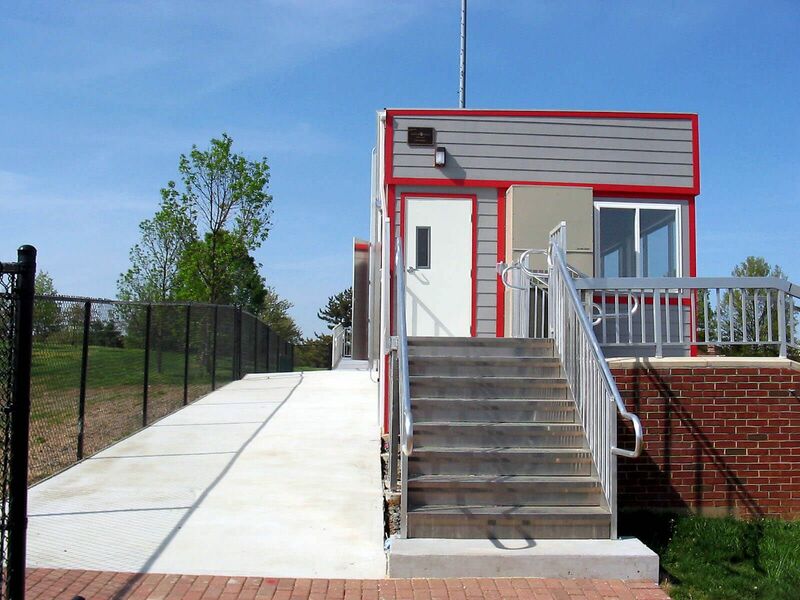 This was designed to meet the require­ment of a rooftop video standing area for the media. 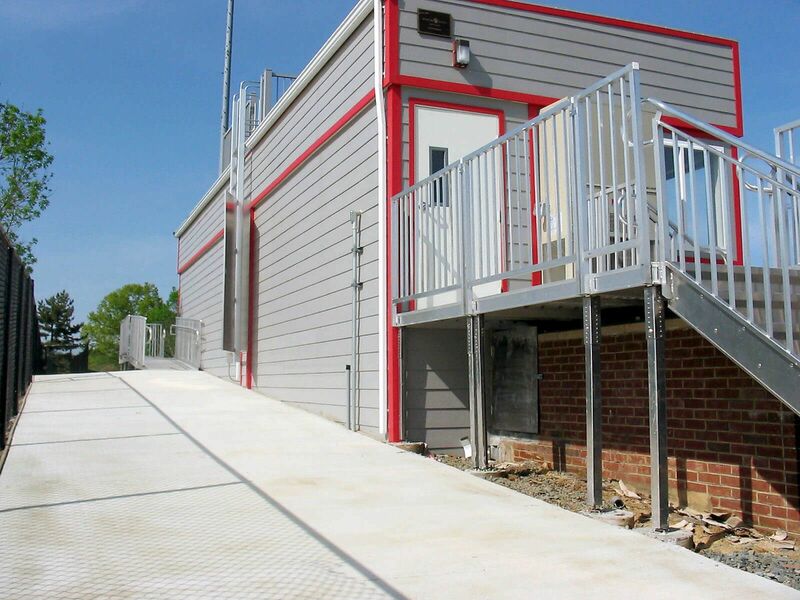 Special non-slip rooftop walk-pads were also installed for safety. 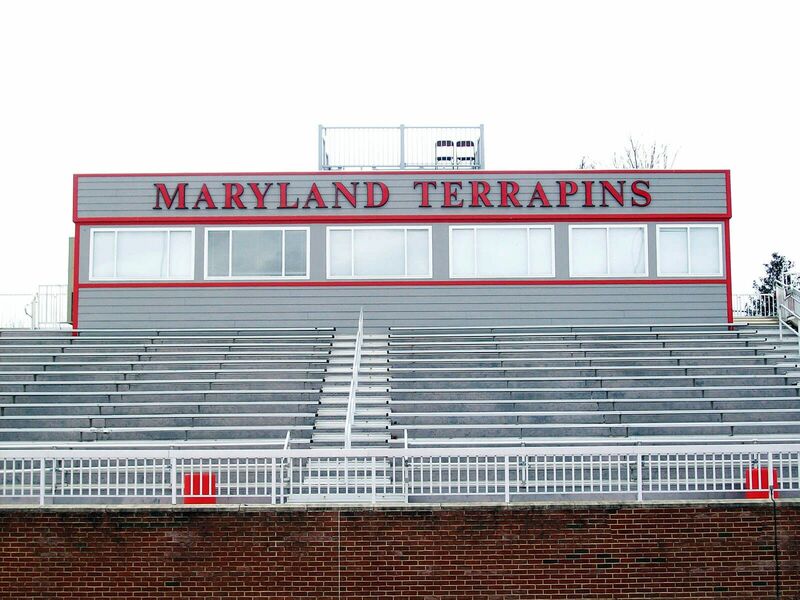 Powered-coated handrails were also installed with an exterior ladder to final the rooftop media area.